Pastor Dana is our senior pastor for preaching and vision. He leads the staff and serves as an elder at Faith Baptist Fellowship. He has a heart for encouraging people to study, understand and apply God’s Word. Dana’s first senior pastor position was at Trinity Baptist Church in Lincoln, NE from 1983 to 1996, which explains his support of the Cornhuskers! From 1996 to 2009, Dana was director of Prayer First, the prayer mobilization ministry of Converge Worldwide (Baptist General Conference). 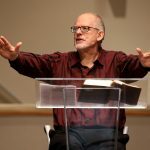 He has spoken at hundreds of churches, conferences and on mission fields around the world. He continues to serve on America’s National Prayer Committee and the Denominational Prayer Leaders Network. Dana’s ministry at Faith Baptist continues to be defined by his passion to inspire people to pray. In the fall of 2009, Pastor Dana was called to Faith Baptist Fellowship to serve as the senior lead pastor for preaching and vision. Dana and his wife Christa have three adult daughters. Anna makes her home in Sioux Falls. Mary is working with unreached people groups in New York City, and Betsy is earning her PhD in physics at the University of Minnesota in Mankato. Dana’s father was a pastor for over 50 years and is now with Jesus. His mother Mary lives in Sioux Falls and is a member at Faith Baptist. Pastor David focuses on providing ways for people at Faith Baptist to deepen their walk with God through studying the Bible together. He provides leadership for Faith Groups and Faith University as well as overseeing operations, finances, and personnel. David is gifted in teaching, administrating, serving and shepherding. David grew up on a farm near Olivet, S.D and graduated from South Dakota State University in 1978 with degrees in Biology and Dairy Manufacturing. After graduation, he served on active duty in the Army as a 2nd Lieutenant, including a one-year tour in Korea. For over 15 years, David worked in quality assurance for companies such as Kraft Foods. In 1998, he moved with his family to Sioux Falls to be closer to his aging parents. David sensed a leading to attend seminary for more biblical training, so he enrolled in North American Baptist Seminary. During this time through Exodus 3:12, God confirmed that David was being “sent” even though the ‘how, when and where’ might not be clear. David knew the affirmation would come, but God was calling David to trust Him in the now. 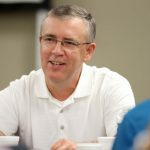 After completing an Education Ministries Masters Degree and an internship with Faith Baptist, David was hired as part-time pastor of Christian Education and Assimilation. In June 2004, David became part of the full-time staff. David has been married to his wife Evonne for more than 25 years. Their daughter Kimberly is a recent graduate of Grace University in Omaha, NE. He enjoys racquetball, basketball, reading, spending time with his family and working on home improvements. Pastor Jayson is the preaching and campus pastor at our west side location. He is passionate about the Bible and helping people meet Jesus in the pages of Scripture. He is eager for people to believe, and see their lives changed by, the good news about Jesus. 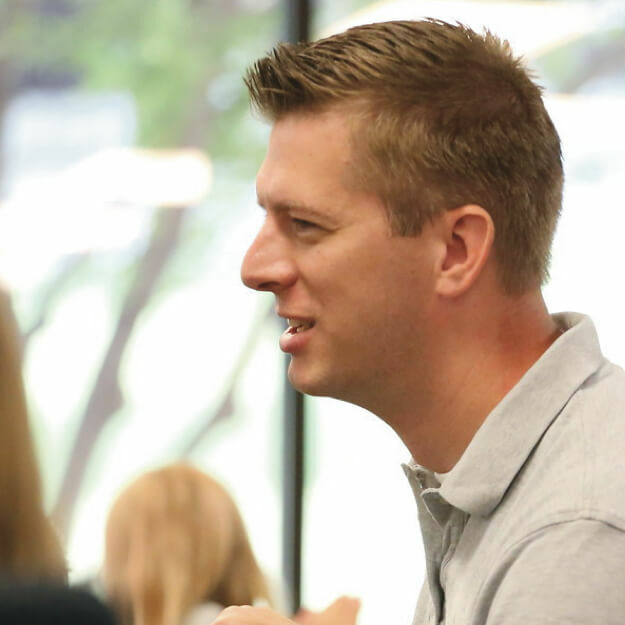 In addition to preaching and leading our west-side congregation, Pastor Jayson has been receiving training in biblical counseling and is pursuing counseling certification through ACBC (Association of Certified Biblical Counselors). Jayson was born and raised in central Iowa and graduated from Iowa State University, with a degree in electrical engineering. He worked as a chip-designer for IBM in Rochester, MN for almost ten years. After committing his life to Christ in 2001, Jayson attended a local Bible college and received a bachelor’s degree in ministry. In 2009, he accepted a full-time ministry position with Grace Baptist Church in Grand Forks, ND. In August of 2012, Jayson joined the Faith Baptist staff as the Associate Pastor of Worship & First Steps. Jayson and his wife Christi have four children - Dane, Lyla, Molly, and Andrew. Jayson enjoys reading theology and talking with people about spiritual matters over a cup of good coffee. He also enjoys singing and playing guitar, teaching his kids lame jokes, taking walks with Christi, and fiddling with the latest technology.